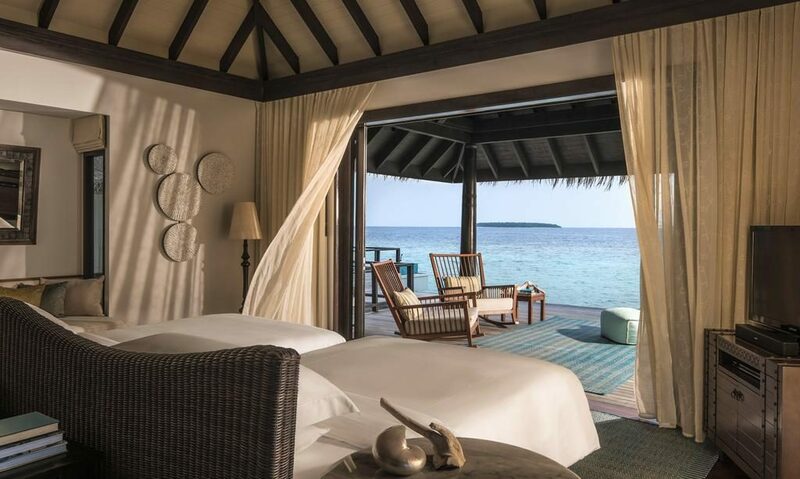 Anantara Kihavah Villas brings boutique hotel luxury to the Maldives. 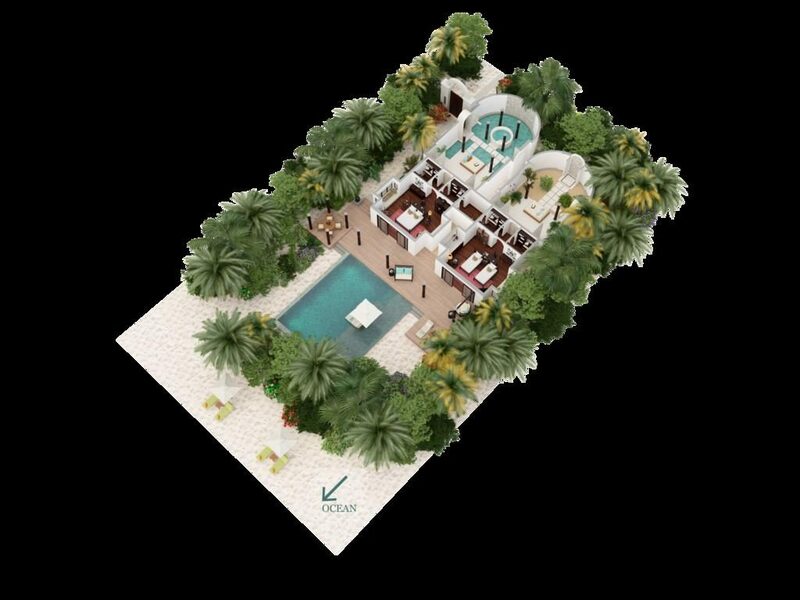 Located in the Baa Atoll 35 minutes from Malé, this elegant resort boasts 78 stunning villas and an incredible underwater restaurant. 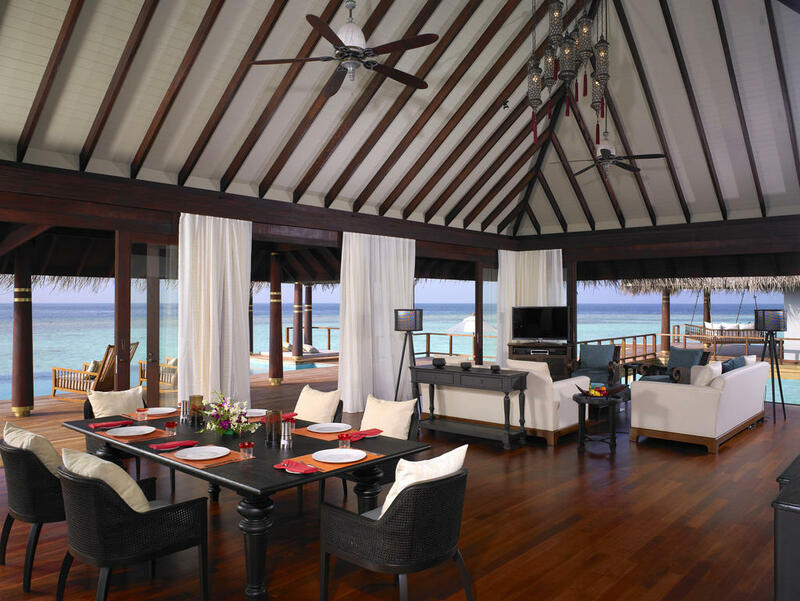 Enjoy fine cuisine with tropical fish playing around you for a unique Maldives dining experience. 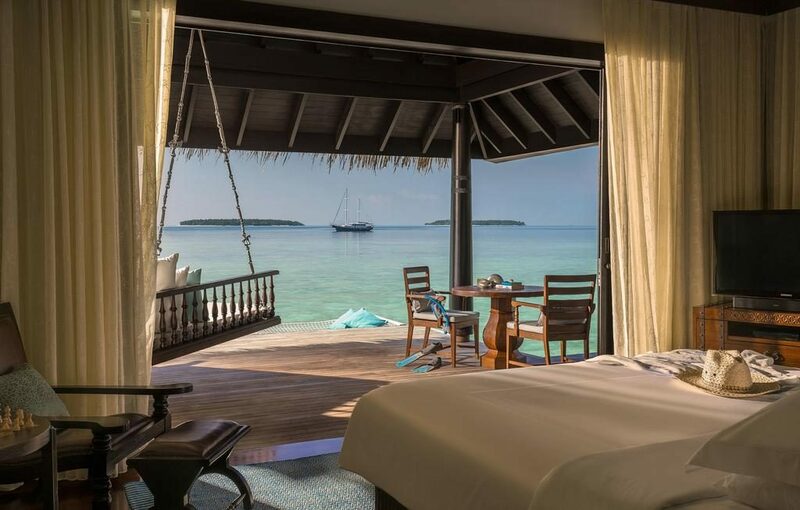 Lazy afternoons in the comfortable hammock, followed by a private barbecue on the beach with just you and your loved one… a Maldives holiday at Anantara Kihavah makes for memories to cherish. 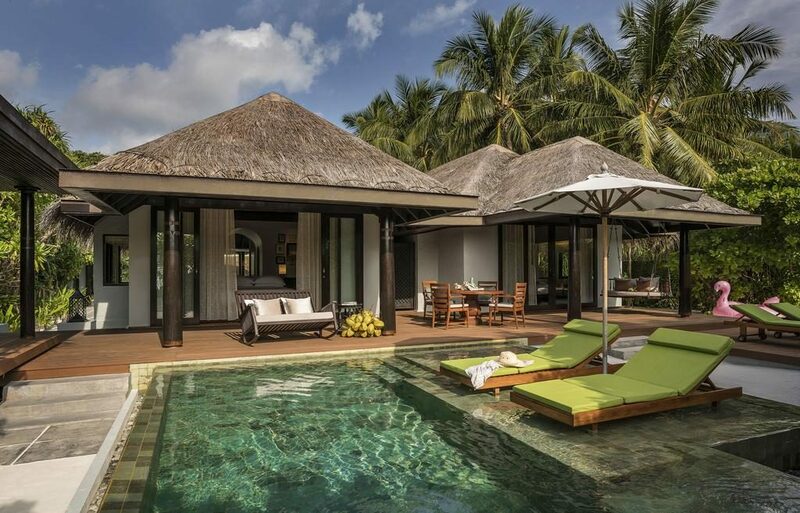 Live the tropical idyll through strolls at soft white beaches, relaxing swims in the crystal clear Indian Ocean and sunset cocktails. 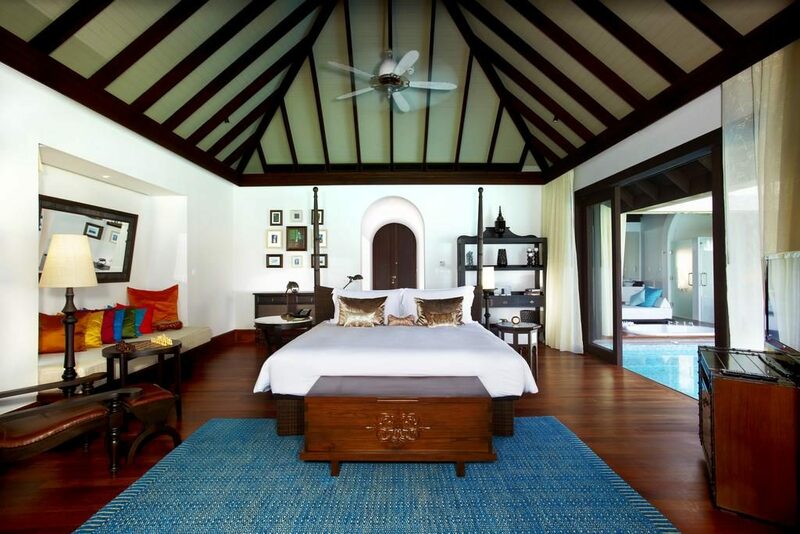 The paradise of Anantara Kihavah Villas brings you the best of the Maldives – in an attractive boutique format. 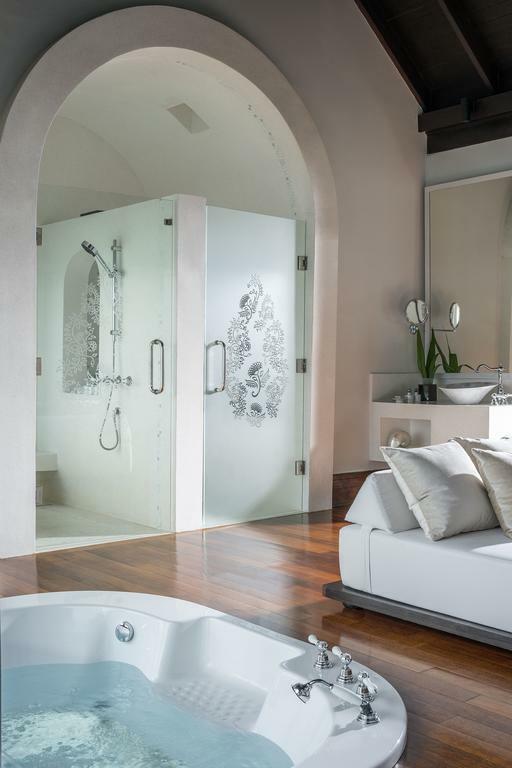 This villa (258 sqm) features a sunken bath for two, which hovers over a private infinity pool. 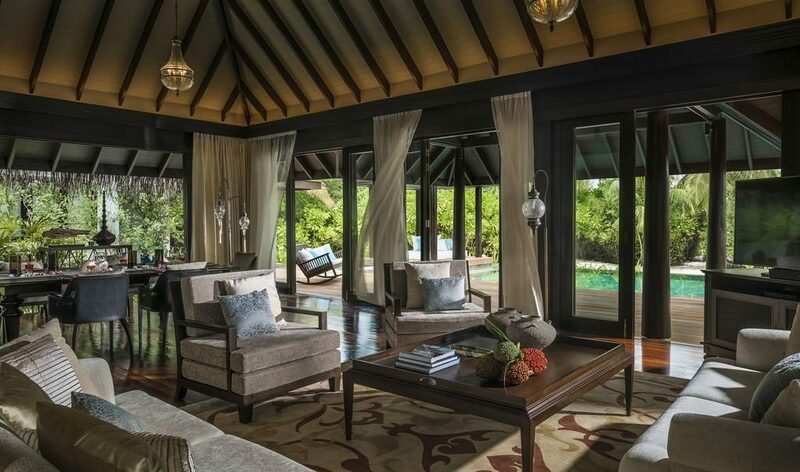 It has direct beach access and is decorated with Thai silks, earth tones and timber features. 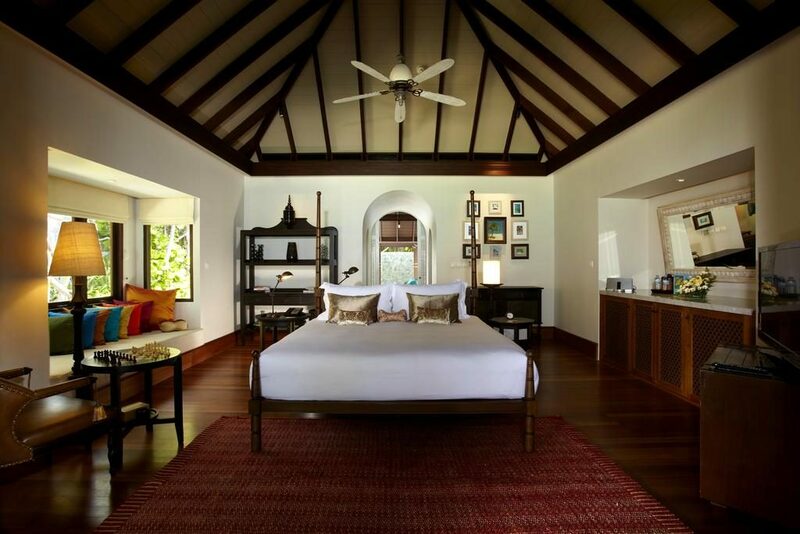 The villa is also equipped with a Bose sound system, wine fridge, iPod docking station and luxury espresso machine. 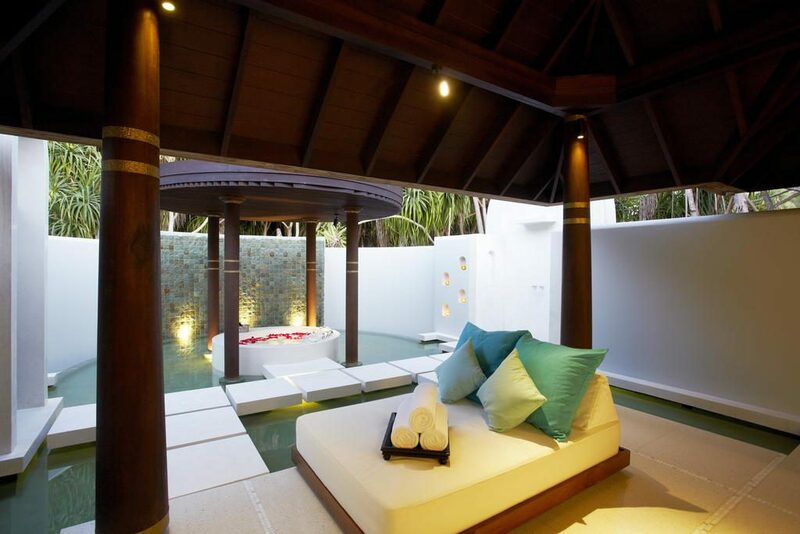 The Deluxe Spa Pool Villa (382 sqm) is designed to emanate luxury island indulgence. 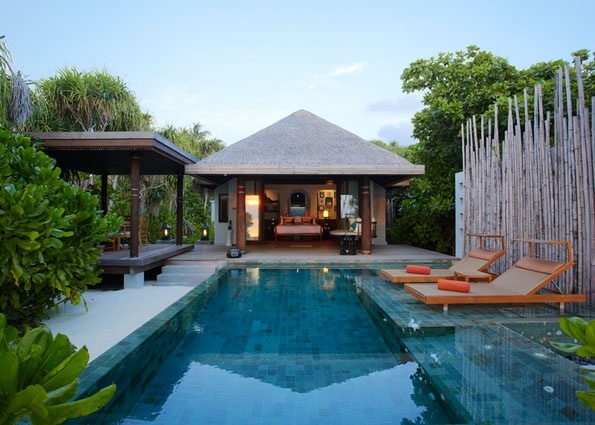 These villas have larger swimming pools and expansive outdoor deck and gardens. 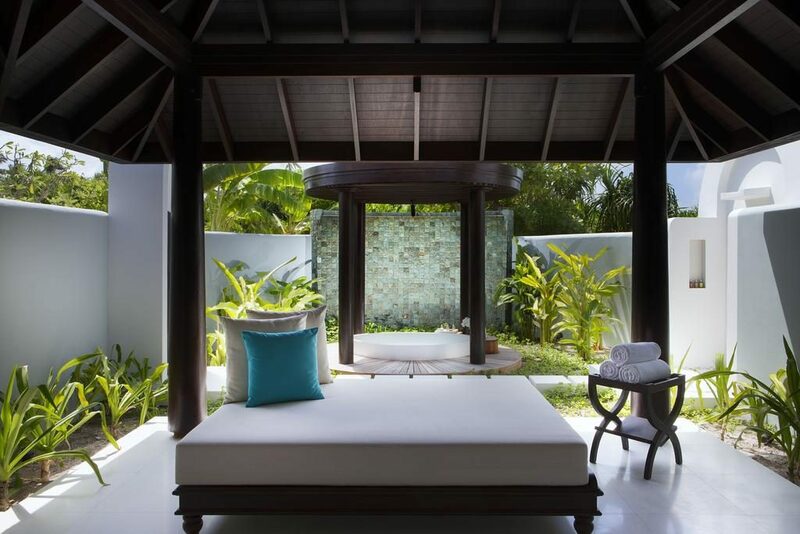 The main feature of these sublime villas is the private ensuite spa treatment room. 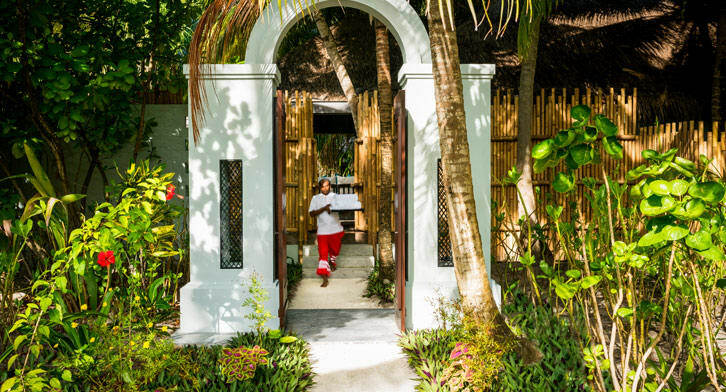 Guests staying here enjoy unlimited spa treatments from the resort’s award-winning spa menu of rejuvenating treatments. 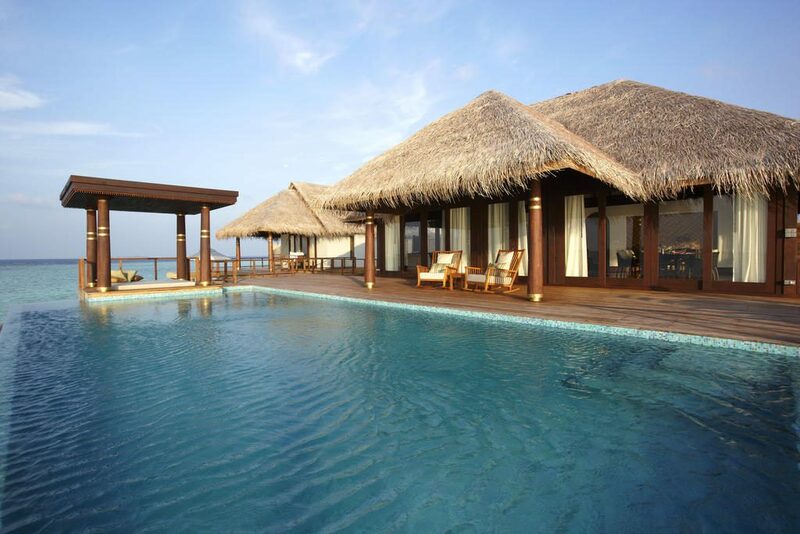 The Beach Pool Villa (258 sqm) offers great value for money, with fantastic views and a private infinity pool. 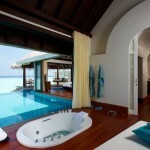 A sunken bath is another added luxury in this villa, which is conveniently located at the glorious beach. 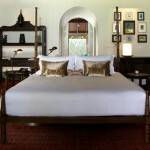 The interior featuring dark wood, Thai silks and Egyptian cotton is simply stunning. 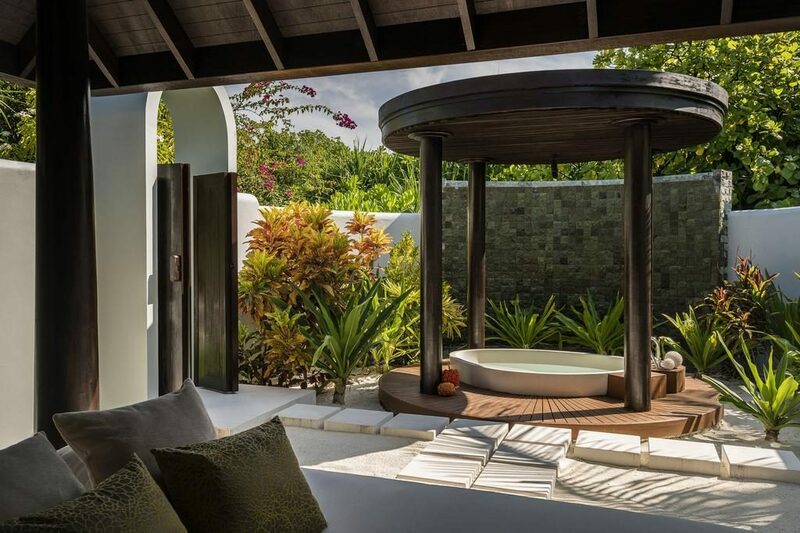 There is an outdoor bathroom, meaning you can watch the starry sky whilst enjoying a relaxing bath in the evening. 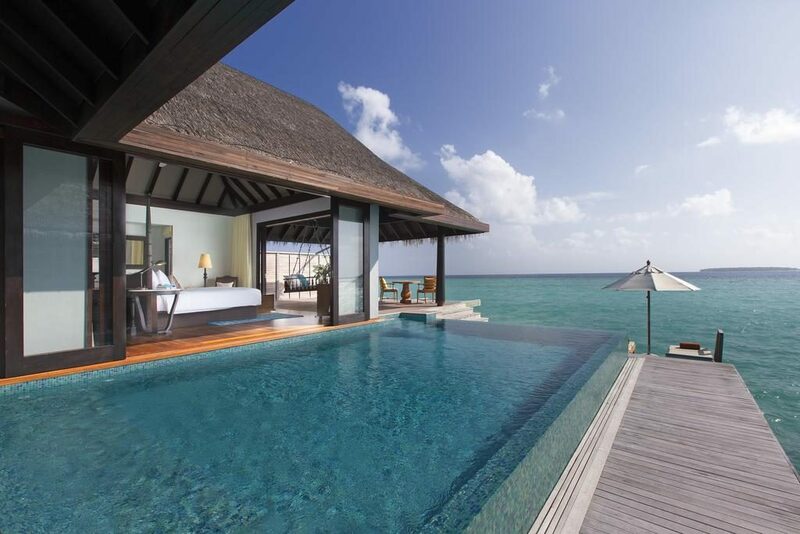 The Over Water Pool Villa (267 sqm) is hovering above the Indian Ocean, making for outstanding views. 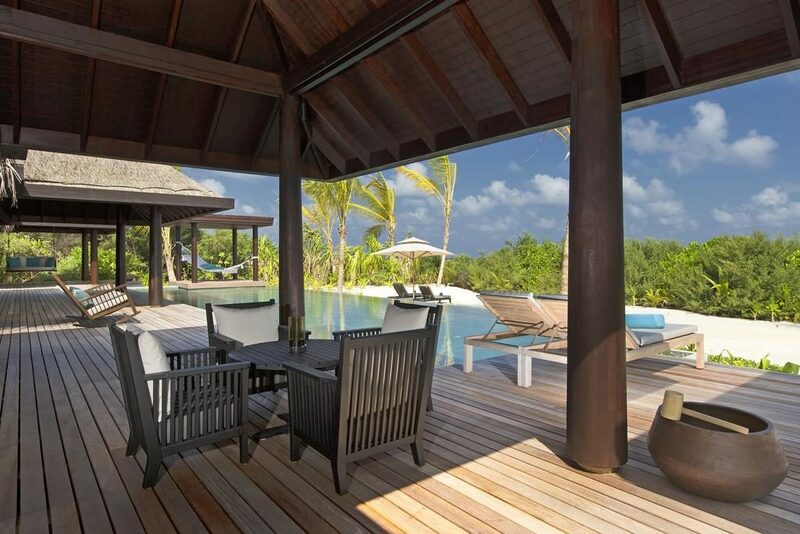 This exclusive villa is everything you could wish for in a Maldives holiday and more. 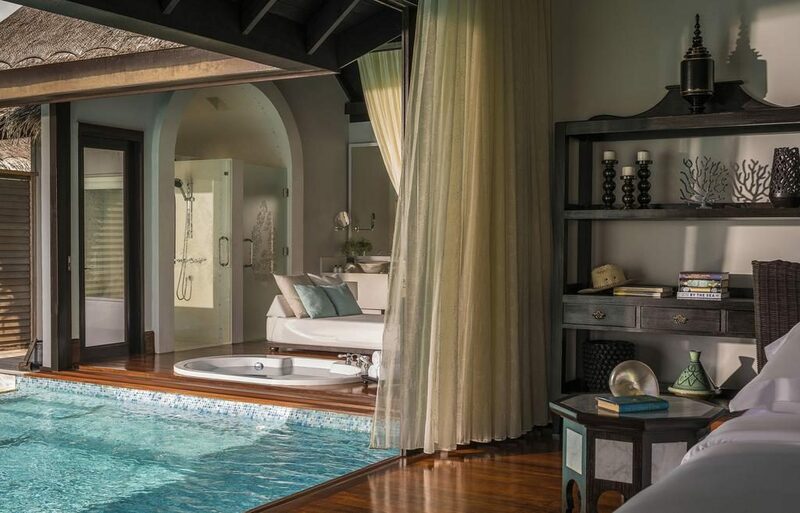 A private sundeck, glass-floored bathtub and lavish furnishings are only a few of the luxurious features of the Over Water Pool Villa. 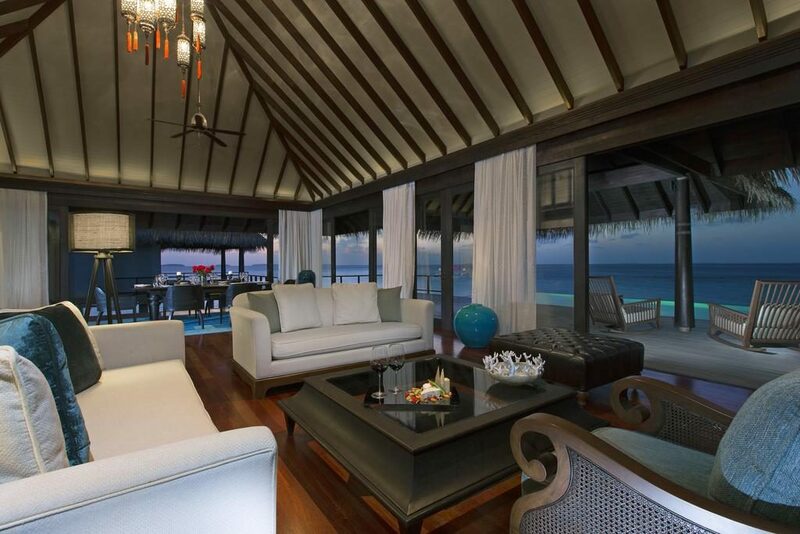 The Sunset Over Water Pool Villa (267 sqm) is hovering above the Indian Ocean, making for outstanding views. 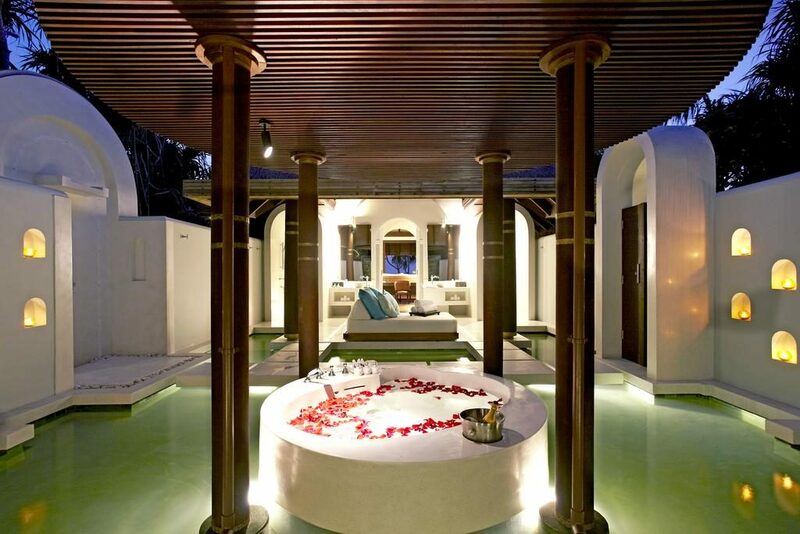 This exclusive villa is everything you could wish for in a Maldives holiday and more. 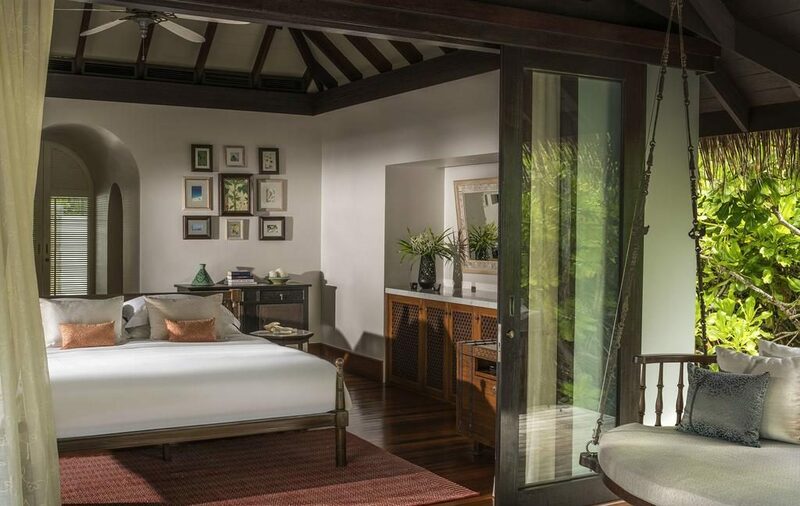 A private sundeck, glass-floored bathtub and lavish furnishings are only a few of the luxurious features of the Sunset Over Water Pool Villa. 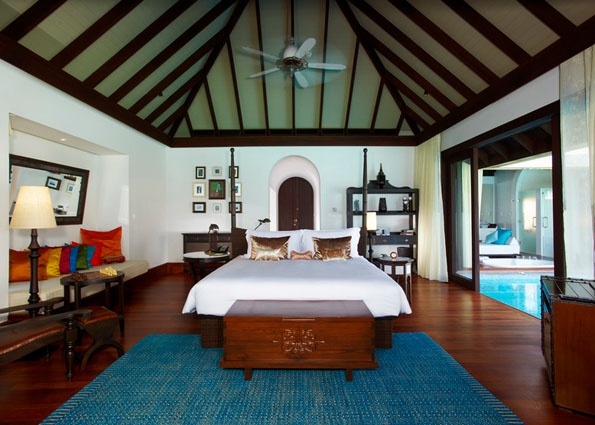 The Family Beach Pool Villa (412 sqm) is the ultimate choice for a family holiday in the Maldives. 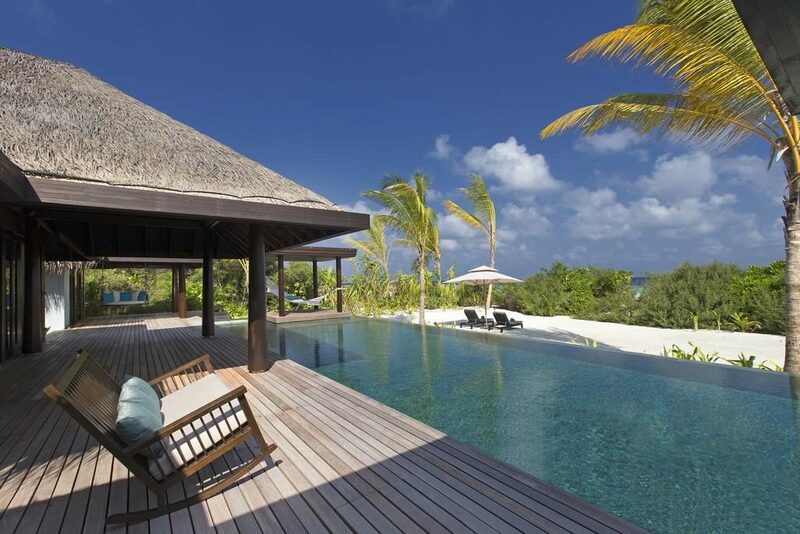 Located by the beach, the warm waters of the Indian Ocean is within easy reach. 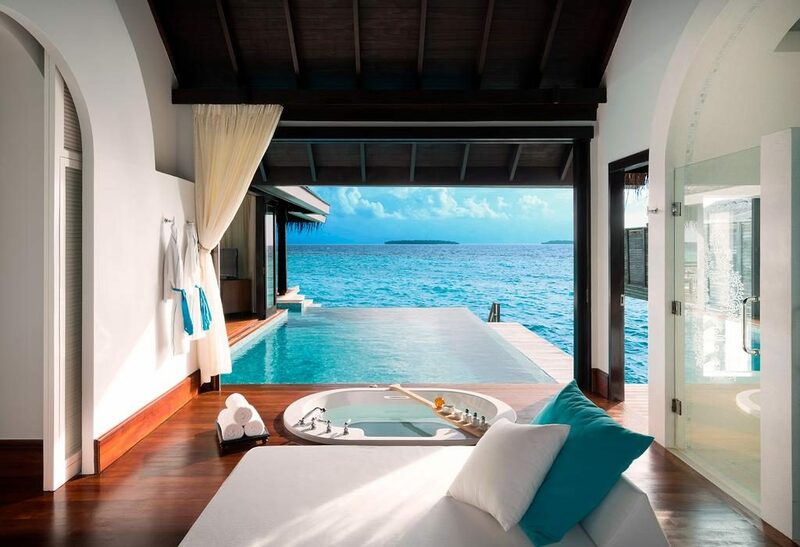 There is one master bedroom and a guest bedroom, as well as showers both indoors and outdoors. 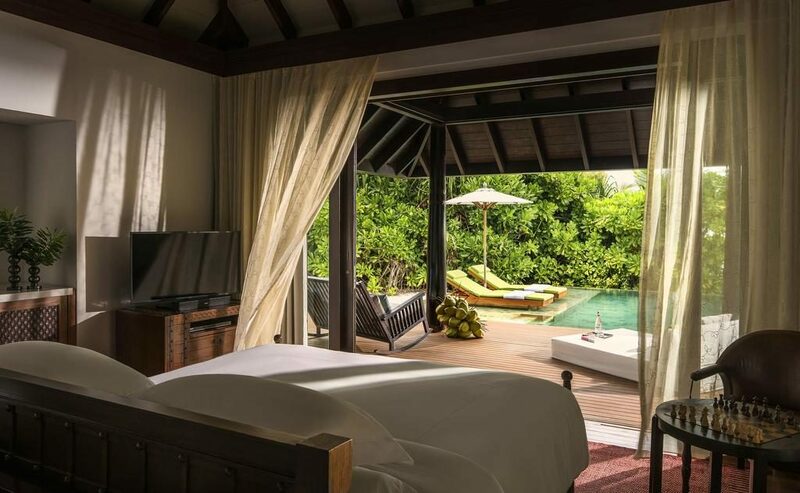 Both bedrooms open up to an expansive sundeck with comfortable sun loungers and a stunning infinity pool. 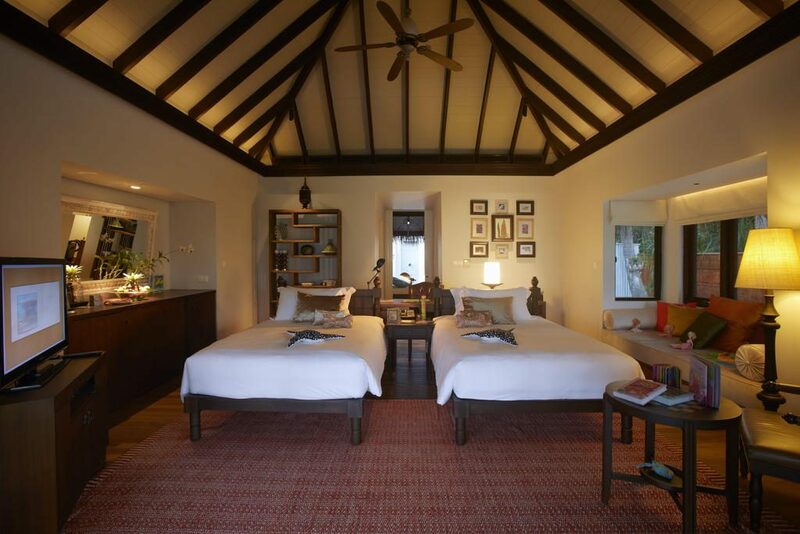 This villa can accommodate two adults and three children. 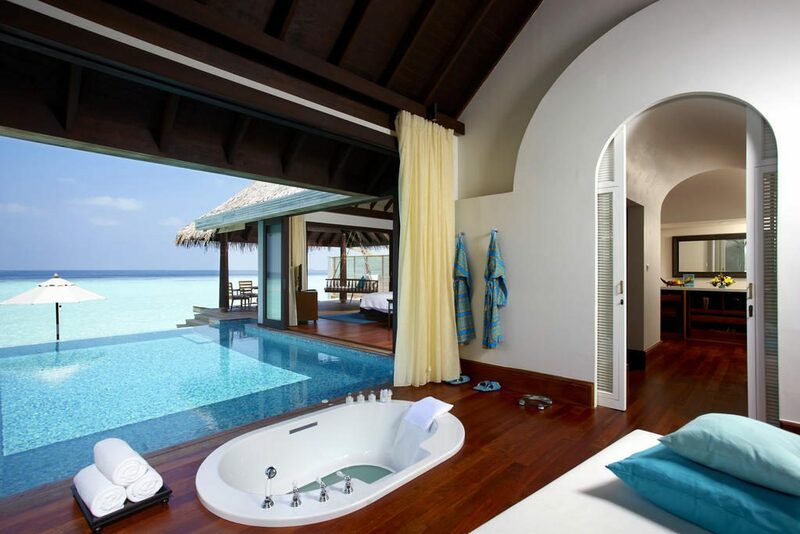 The Beach Pool Residence (786 sqm) with two wonderful bedrooms is the essence of indulgence. 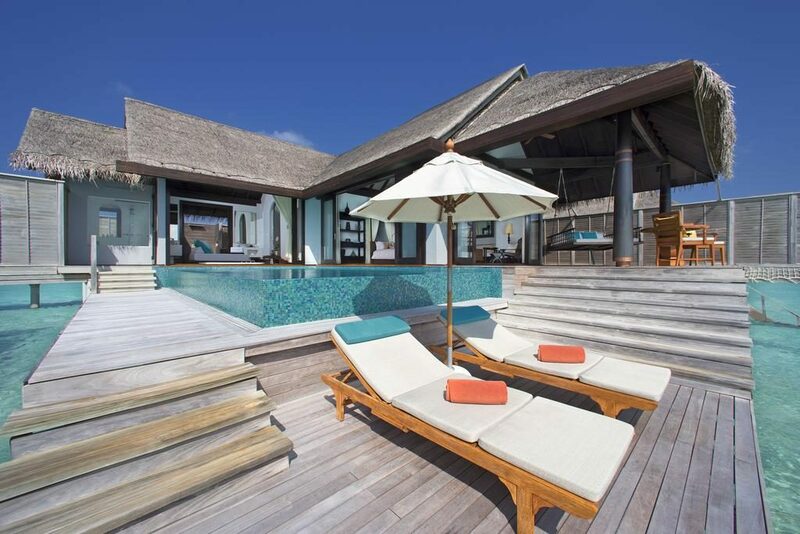 Featuring a beach location, private butler, amazing outdoor rain showers, a private infinity pool, a sunken tub and impeccable design, the Beach Pool Residence makes the perfect holiday villa for families. 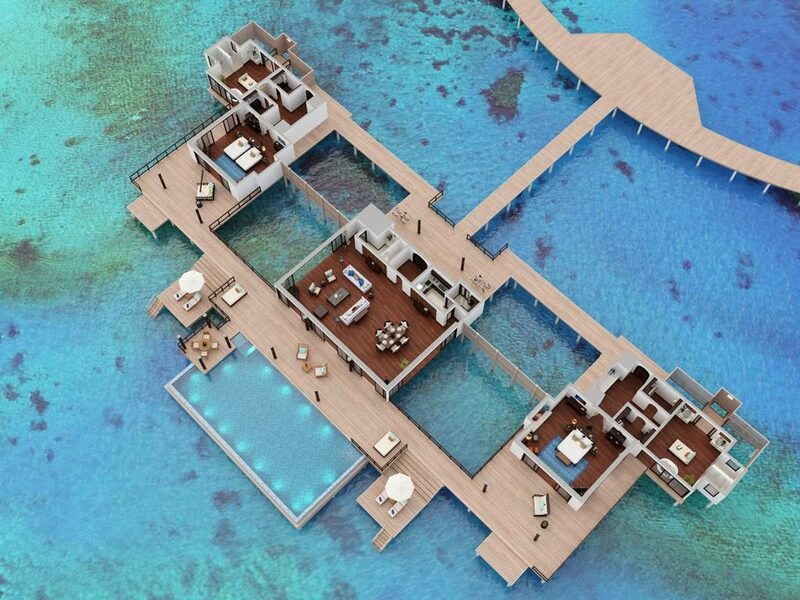 The Two Bedroom Over Water Pool Residence (872 sqm) is perhaps one of the most extravagant water villas of the Maldives. 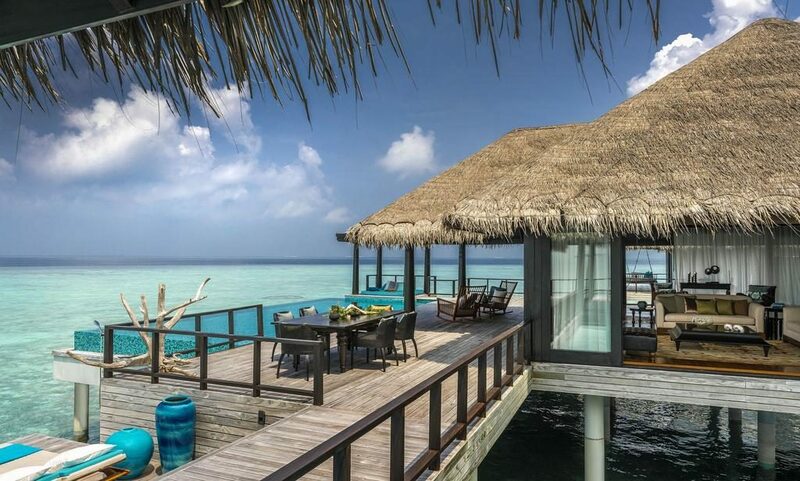 Located furthest away of all the water villas, this accommodation offers complete seclusion. 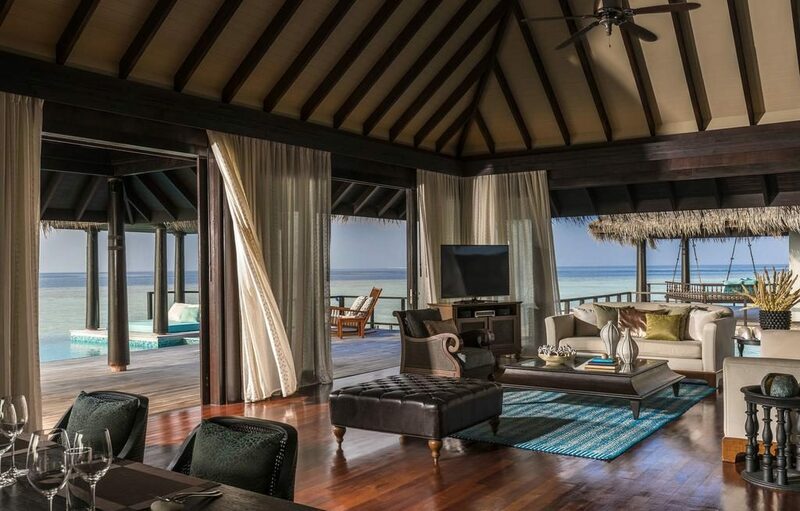 24 hour butler service, two large bedrooms, a private pool and an overwater dining pavilion add overall bliss to your stay – while the Indian Ocean surrounding the splendid villa makes a gorgeous backdrop. 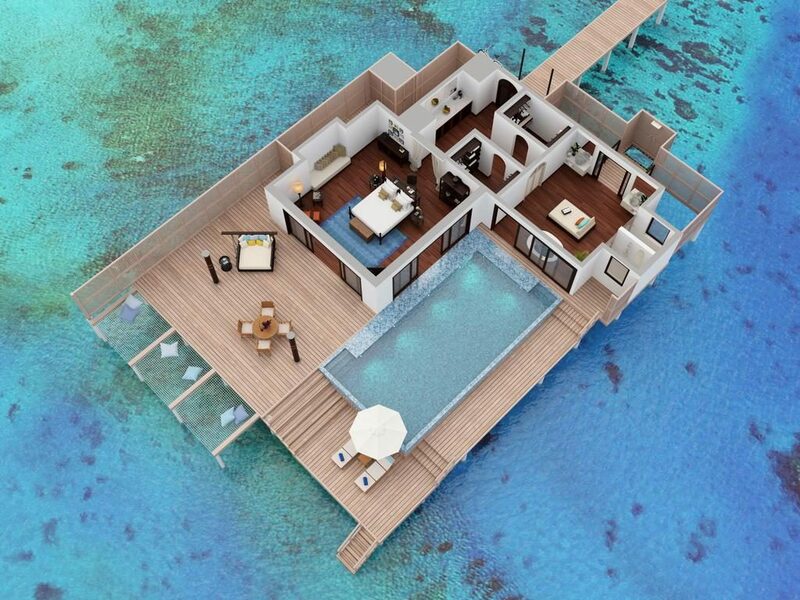 The Three Bedroom Beach Residence (2736 sqm) is decadence and true luxury. 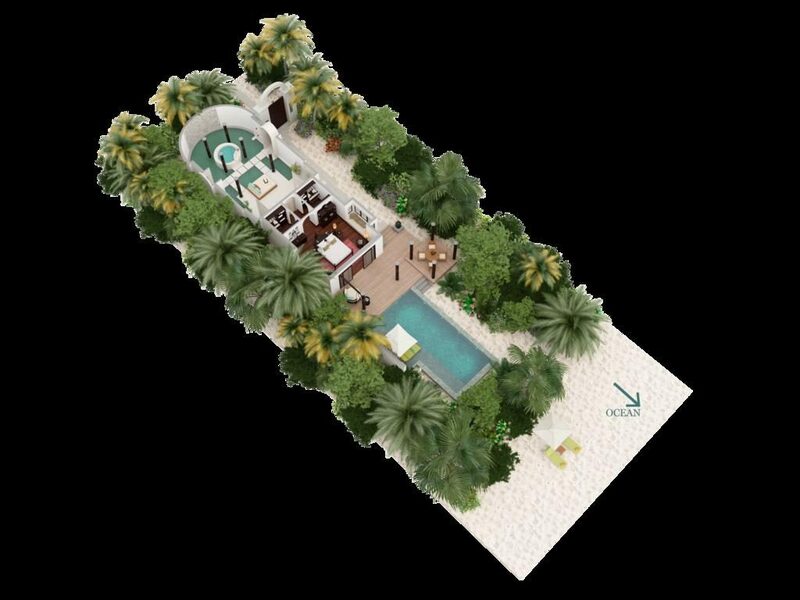 Consisting of three interconnected villas in the southern part of the island, the Three Bedroom Beach Residence includes three master bedrooms, two pools, lovely sunken bathtubs, waterfalls, a tropical garden. 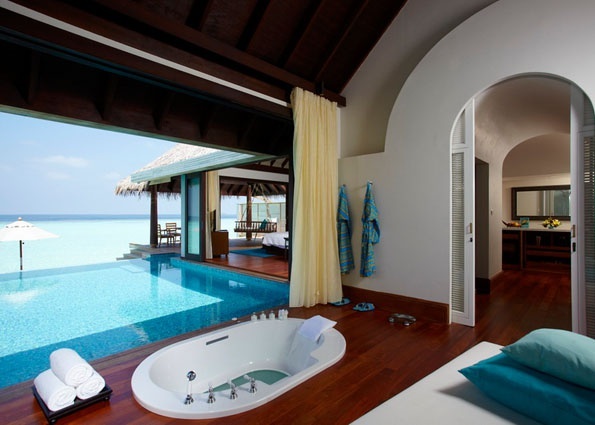 In addition, you will have an attentive butler 24/7. 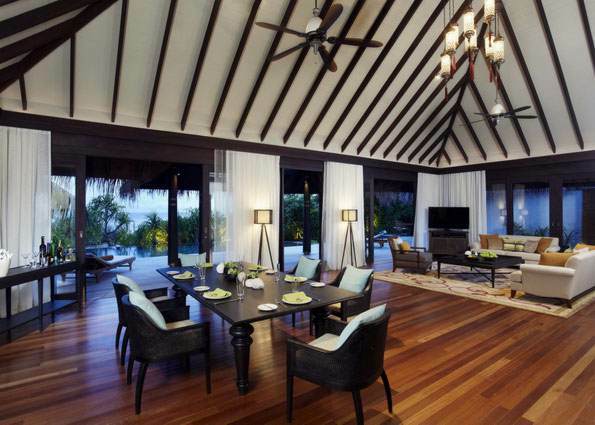 This residence also has a dining area, pantry and spa sala. 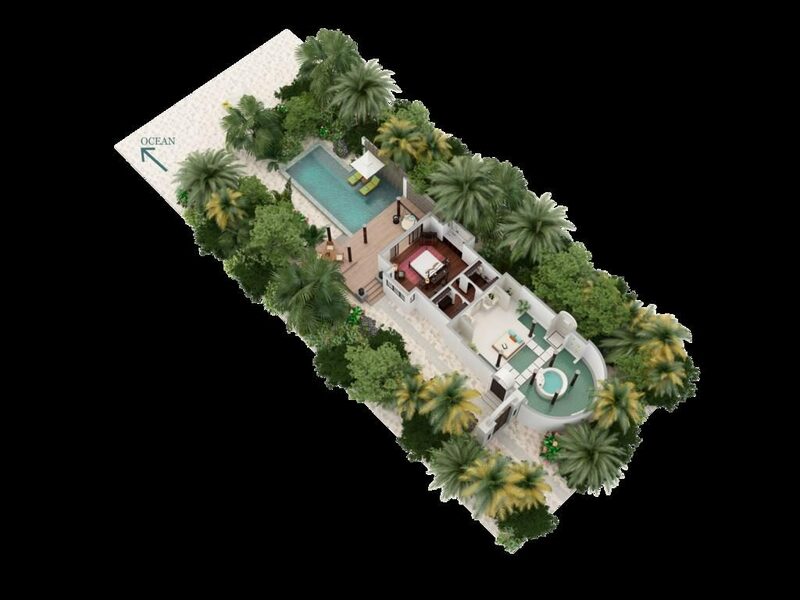 The largest residence on the island (2994 sqm) combines the Three Bedroom Residence and an extra Beach Pool Villa, interconnected and complete with its own expansive pool and generous sundeck. 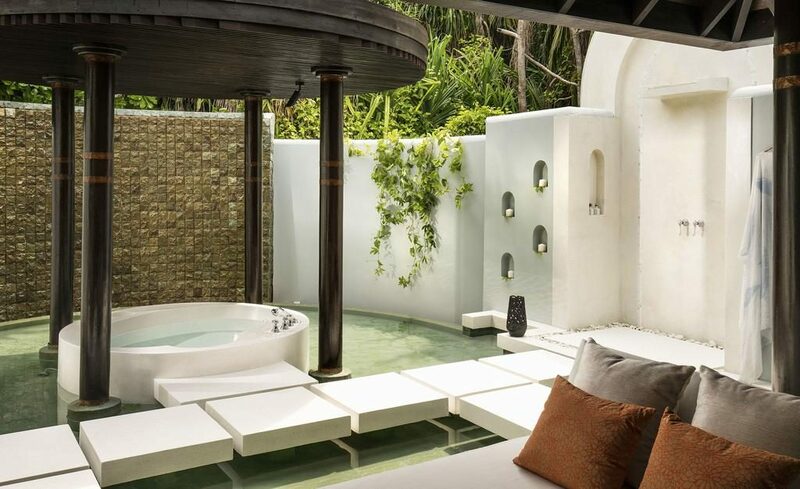 Perfect for families or groups of friends of up to 12, enjoy the luxury lush, cool spaces, high-tech comforts, and a personal Villa Host at your beck and call. 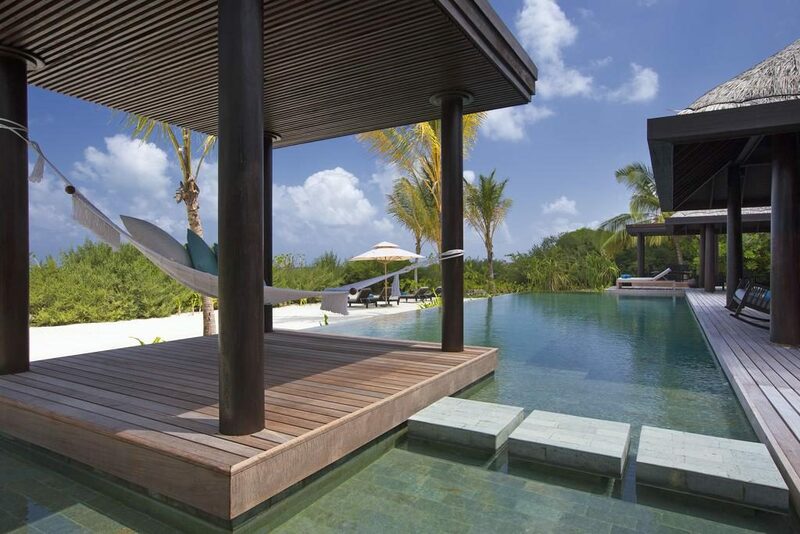 Sunny days unfold poolside in a hammock or soaking in a Jacuzzi with a glass of champagne. 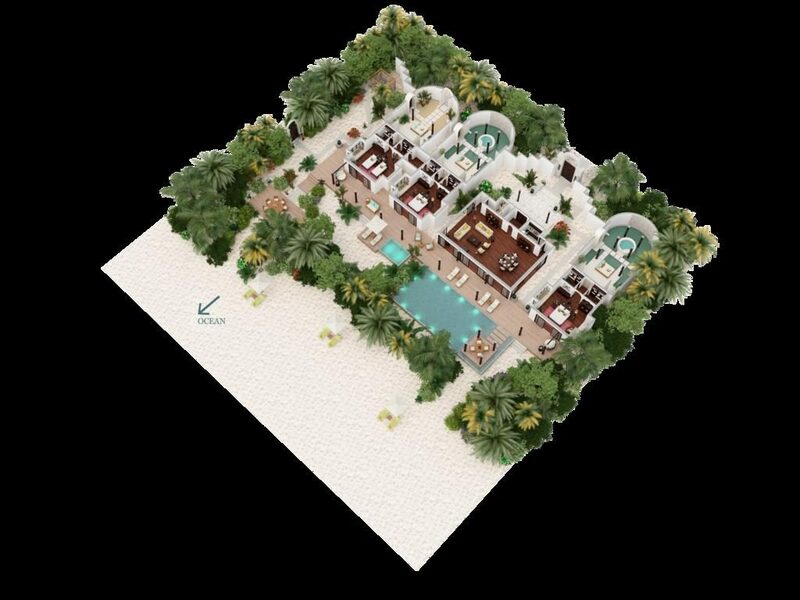 Enjoy a barbecue prepped in the pantry, grilled under the stars, and served in your indoor dining area or out in the palm-fringed sala for just your group. 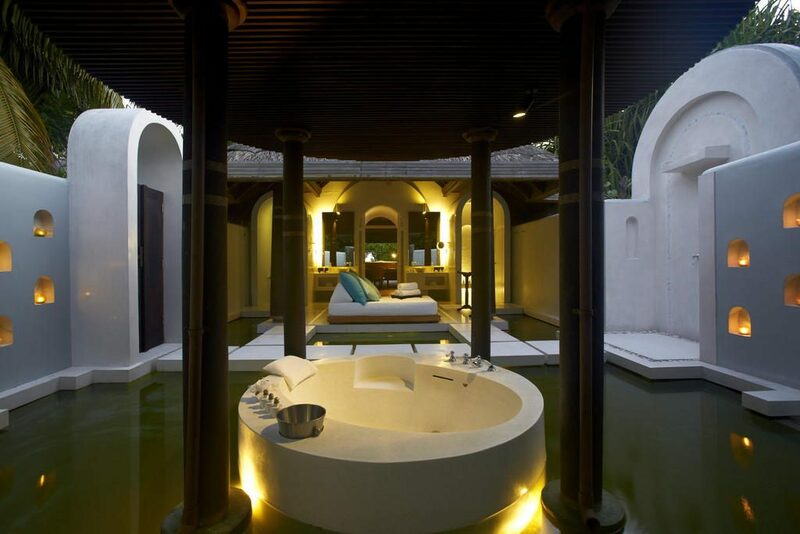 This residence is the epitome of luxury and truly is a tropical retreat. 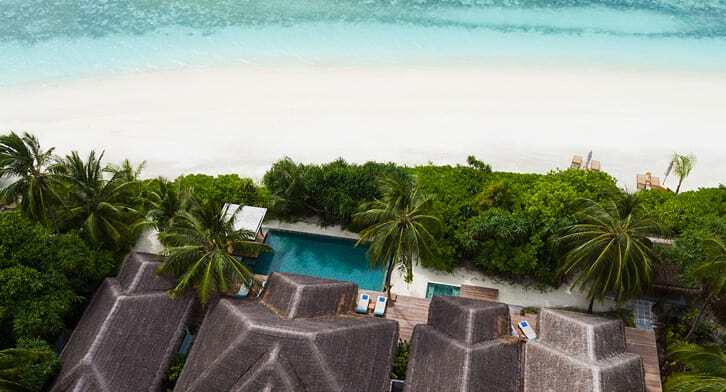 Anantara Kihavah is a full-service resort boasting an impressive range of activities to make the Maldives holiday enjoyable for all the family. 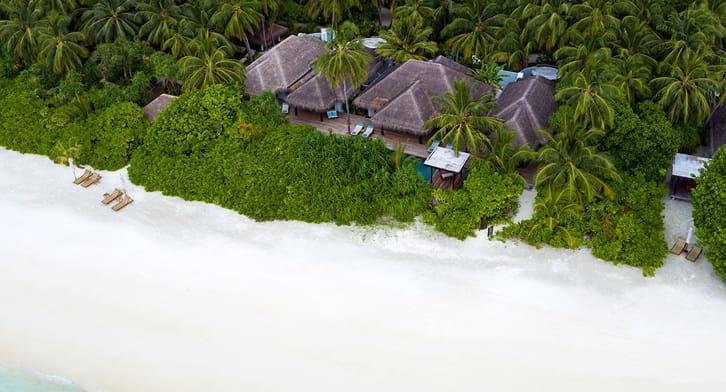 Kihavah Kids Club keeps the younger guests entertained with beach games, arts and crafts while you maybe enjoy a visit to the spa or a relaxed cocktail in one of the bars. They also offer a babysitting service. 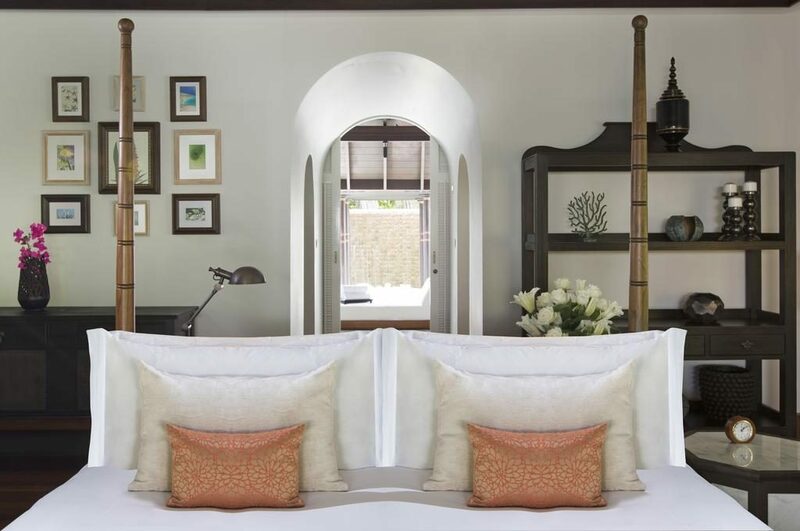 The tranquil library, fully-equipped fitness centre, tennis courts and cooking classes add more value to your holiday when you are done with the silky white beach for the day. 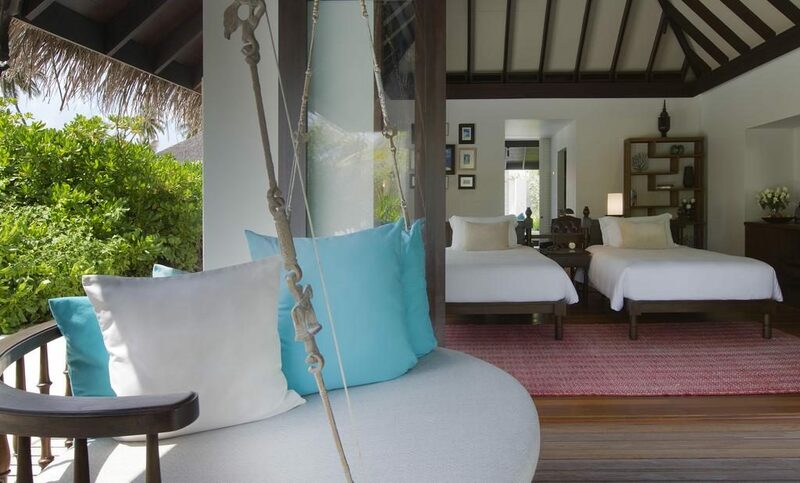 Yoga and volleyball is also available for guests preferring to stay active in paradise. 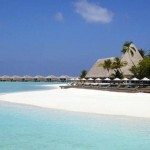 Speaking of paradise, that is exactly what you will discover under the surface while snorkeling or scuba diving. 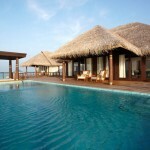 Divers of all levels can sign up for the PADI diving classes, led by professional instructors. 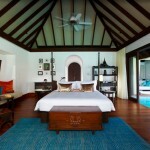 Kayaking, windsurfing, sailing and big game fishing are other popular pastimes at Anantara Kihavah. 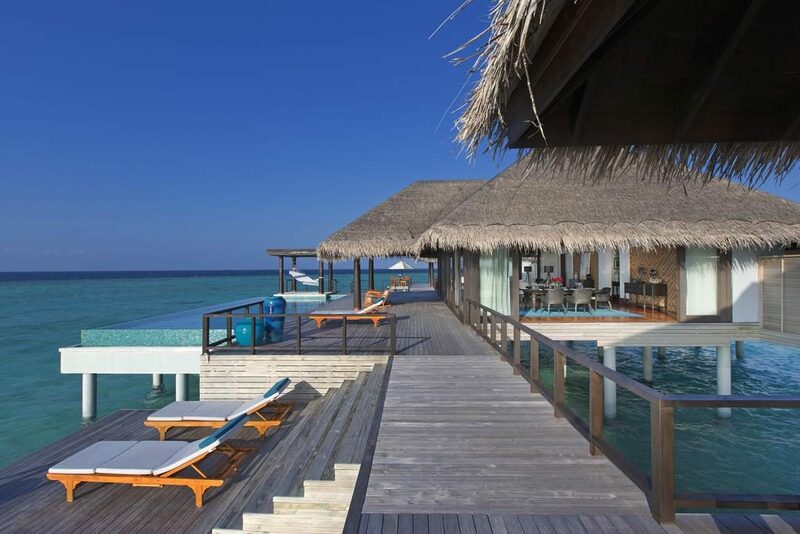 Your Maldives holiday is an excellent opportunity to let yourself get pampered and forget about reality for a while. 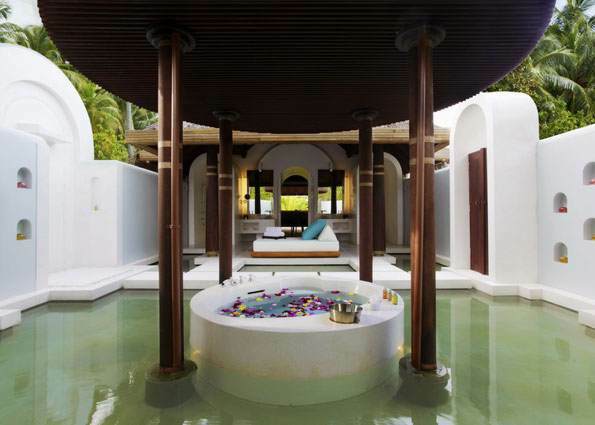 The over water treatment suites of Anantara Kihavah overlook the turquoise Indian Ocean, making for a truly relaxing setting. 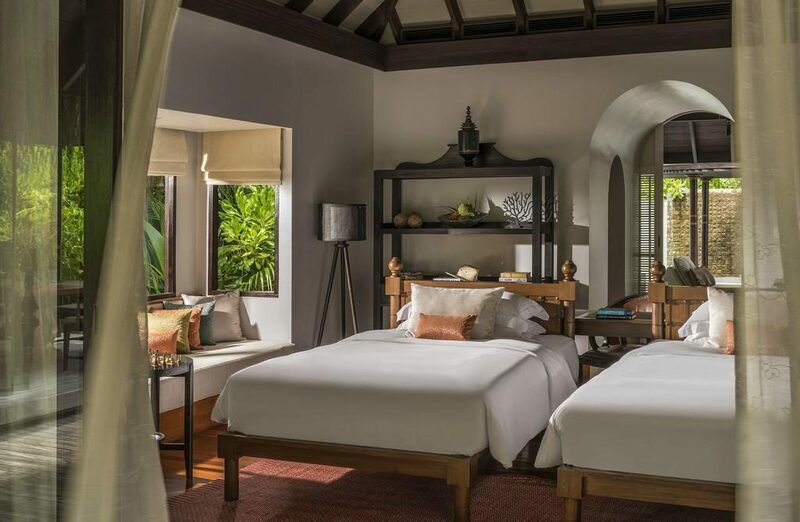 A favourite treatment of guests is the rejuvenating coconut scrub for couples. 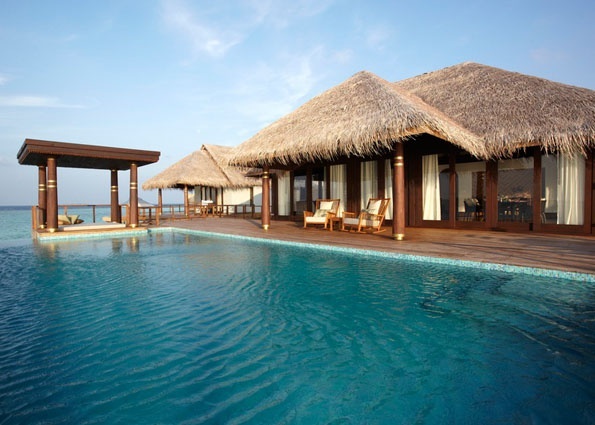 Great value multi-day packages are also available. 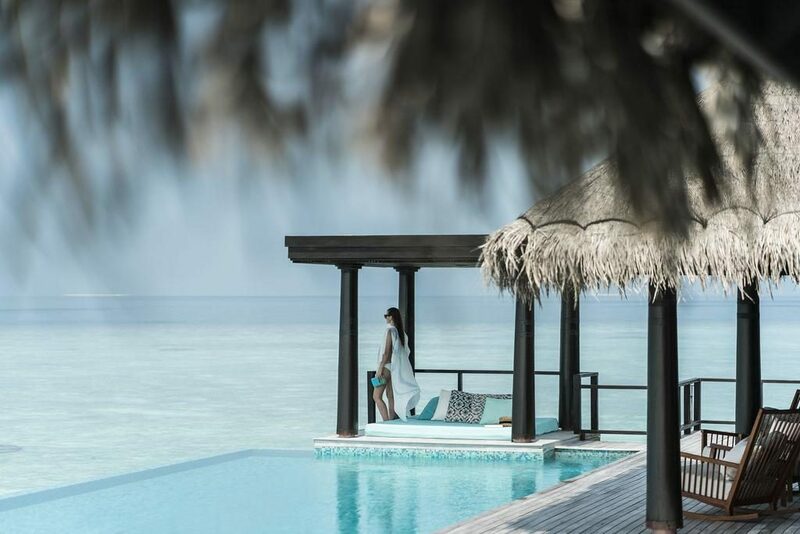 By the glorious beach, under water, with a stunning sunset as backdrop… the dining opportunities at Anantara Kihavah are simply endless. 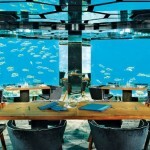 Sea is one of the world’s first underwater restaurants, located just south off the stunning island. 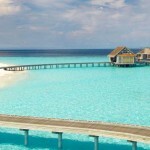 Watch as tropical fish play in the water, while you enjoy some of the finest cuisine offered in the Maldives. How about roast lamb accompanied by a glass of fine wine? This is one dining experience you won’t forget. Fire includes a teppanyaki lounge. 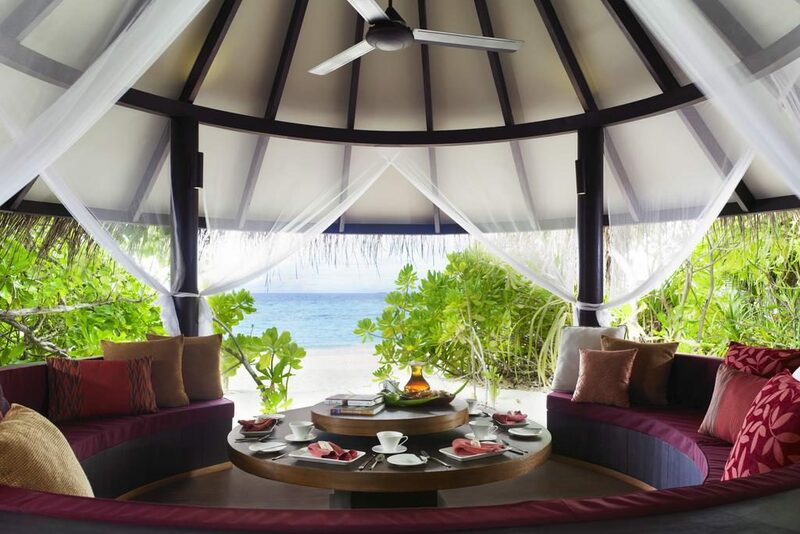 Here you can enjoy Japanese beef and seafood prepared according to your exact preferences. Salt is a treat to both your eyes and your taste buds. Red snapper prepared on a Himalayan salt block to bring out its amazing flavours is one of the dishes on offer. 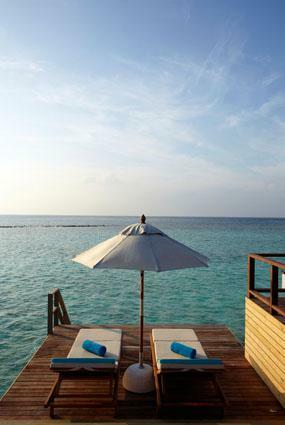 Sky is a rooftop bar with panorama views of the stunning island and its surroundings. 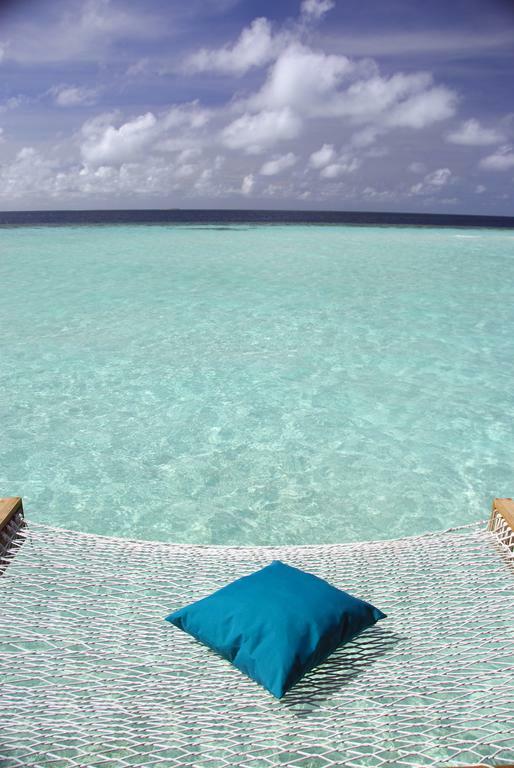 Your chilled beer or exotic cocktail has never tasted this good. 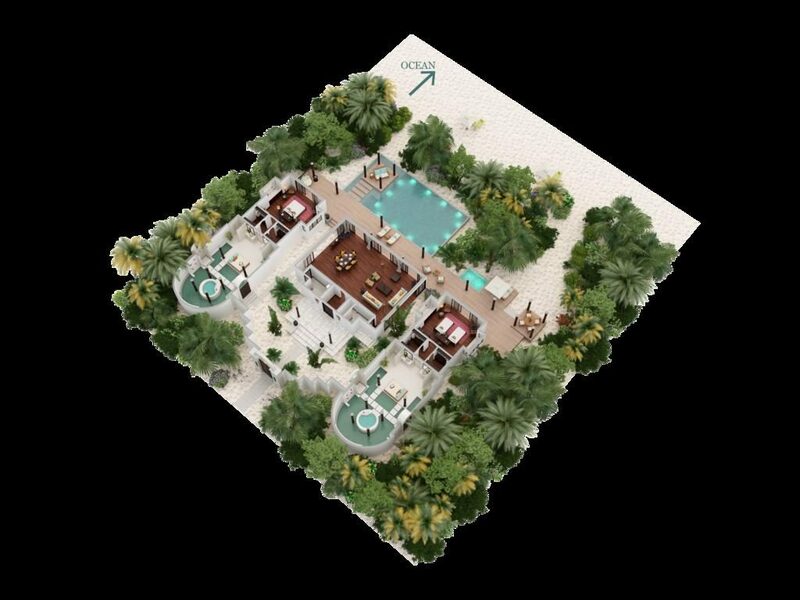 Plates is a casual beach restaurant where a tantalizing breakfast buffet is served in the morning. 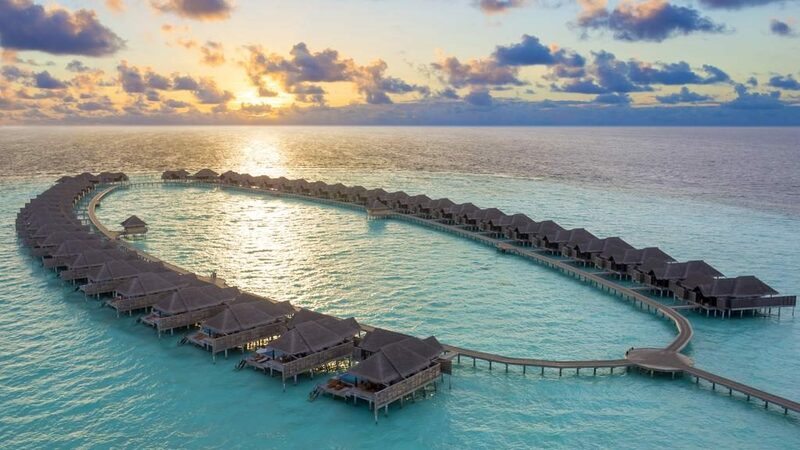 When it’s time for dinner, head back for local specialties and freshly caught sea food and watch the sun set across the Indian Ocean. 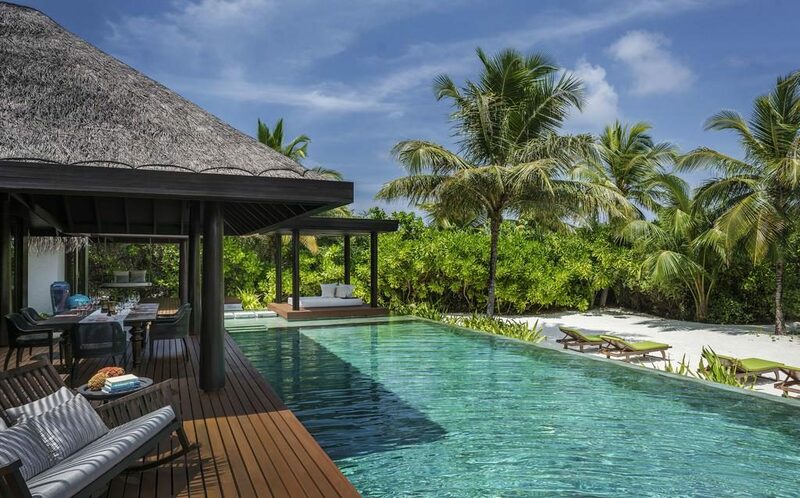 Manzaru Pool Bar and Restaurant is a relaxed venue offering delicious fruit skewers, cocktails and chilled drinks both night and day. 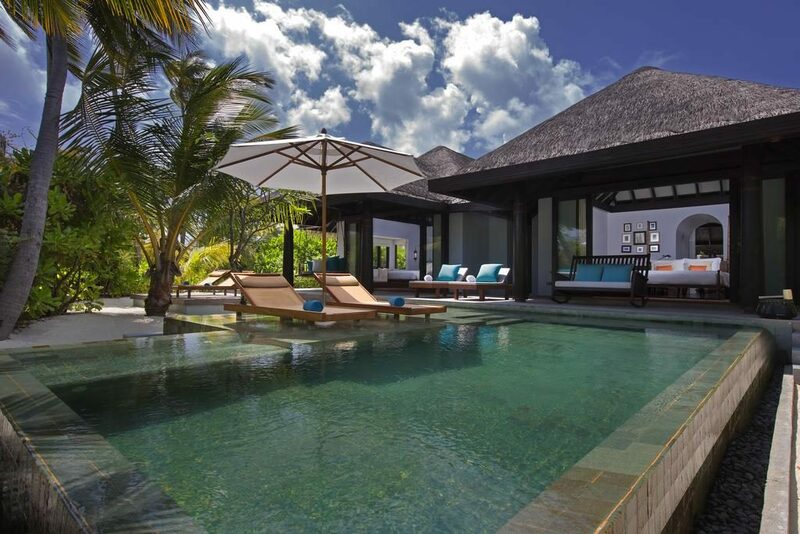 During daytime, the swim-up bar lets sunbathers enjoy sizzling cocktails, while light dishes are served poolside. 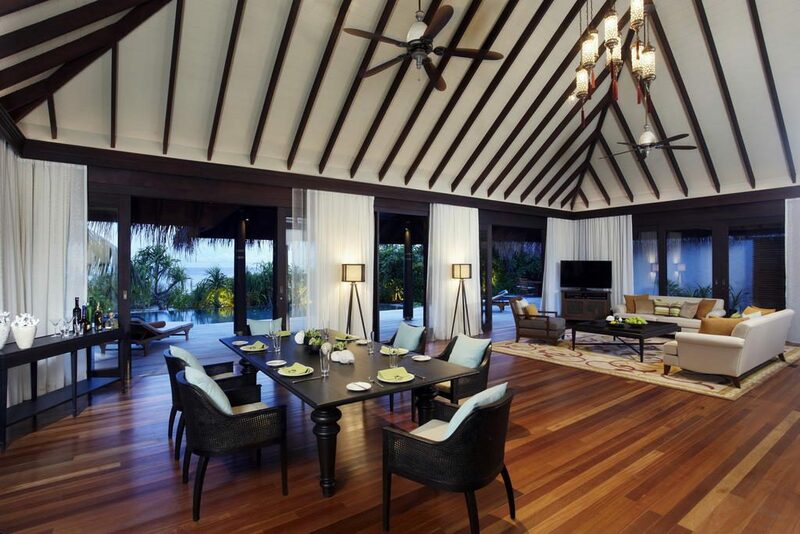 Dining by Design is an experience too fabulous to miss out on. 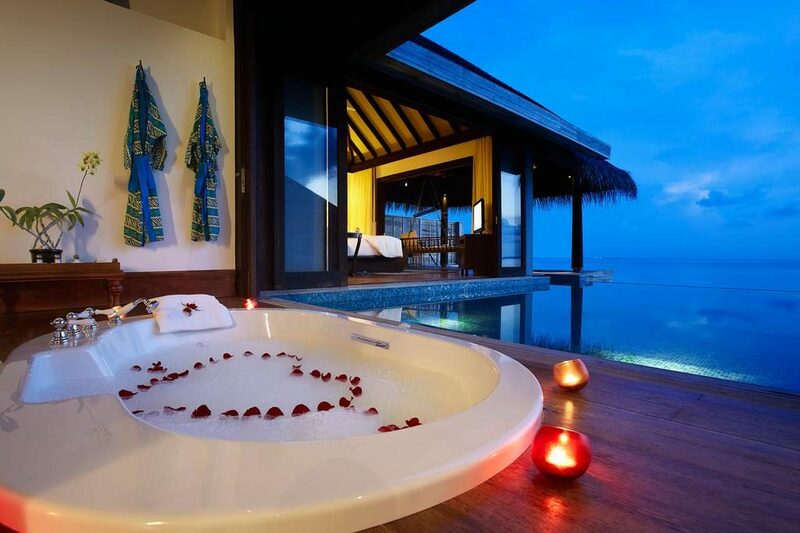 Choose the place where you want to dine with your loved one, and the staff takes care of the rest. 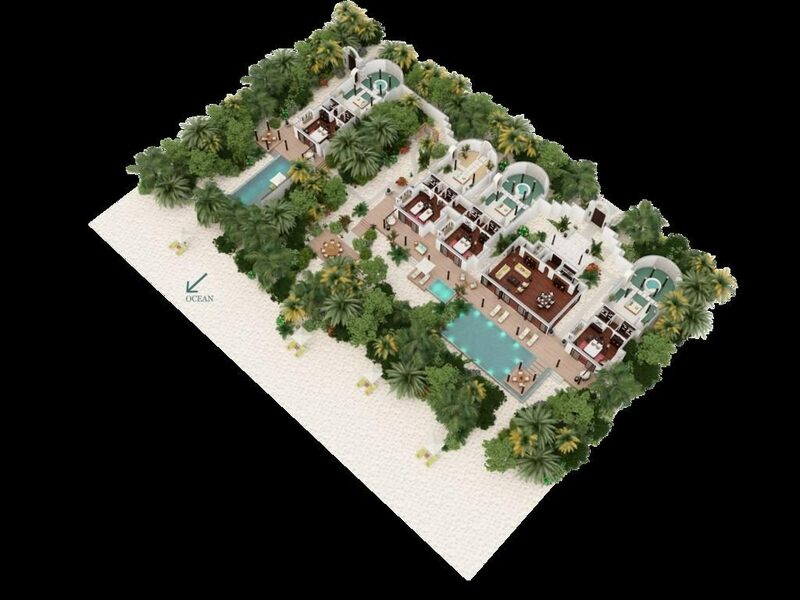 Perhaps a beach barbecue under the starry sky? 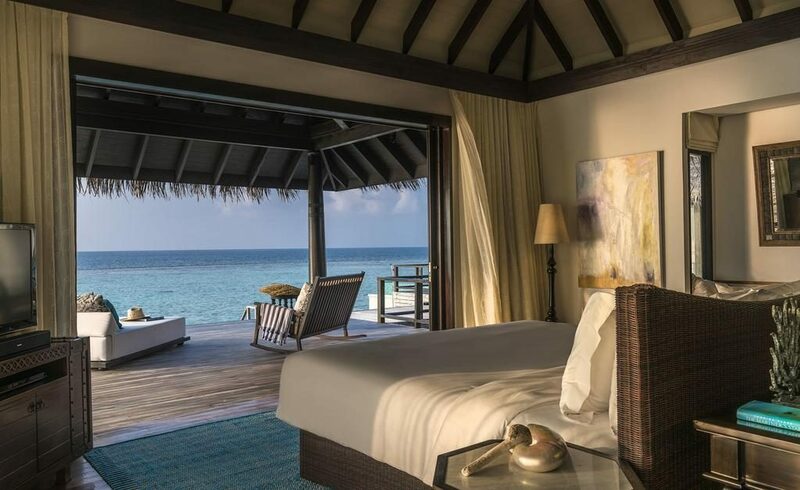 Simply Maldives Holidays offer a Bed and Breakfast Package, a Half Board Package and a Full Board Package to guests staying at Anantara Kihavah Villas.